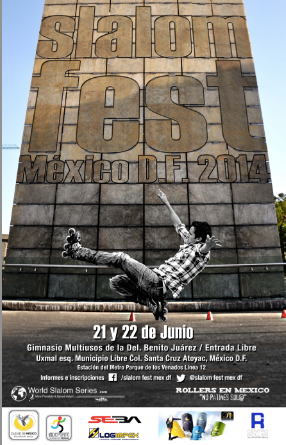 The 3rd edition of the Slalom Fest was held in Mexico DF on 21 and 22 June 2014. 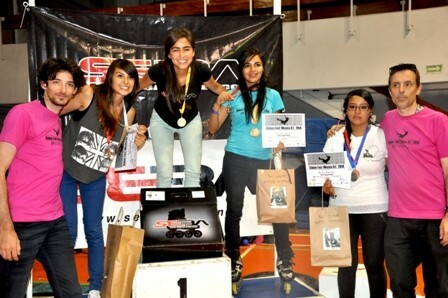 Skaters from Mexico and Argentina were competing in the first Mexican two-cones event. 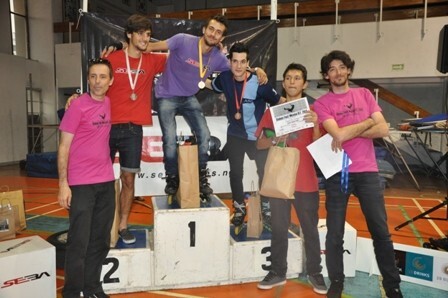 The competition included Speed Slalom, Battle and Freestyle Classic. Here is a short report about the event. Jonathan Mogrovejo (Mex, #422) got his 3rd victory in a row in Mexico beating Gonzalo Cobo (Arg, #35) in the final. Ricardo Batiz (Mex, #85), who showed the best time in the qualification (5.229 sec), ended up on the third step of the podium. There were 9 skaters for the Women's Battle. Carolina Villavicencio(Mex, #297) won the Battle final and kept her 2013 title in front ofGabriela Ramos (Mex, #382), who ended up at the 2nd place, the best result in her career so far. 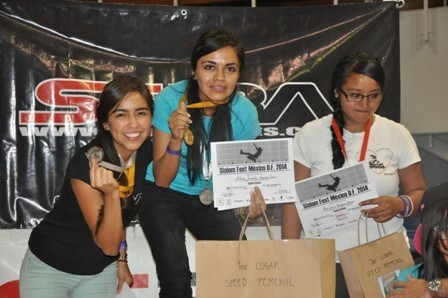 The Speed Slalom winner, Samantha Mogrovejo (Mex, #357), took the third place. Jessica Rodriguez (Mex, #316) finished fourth. 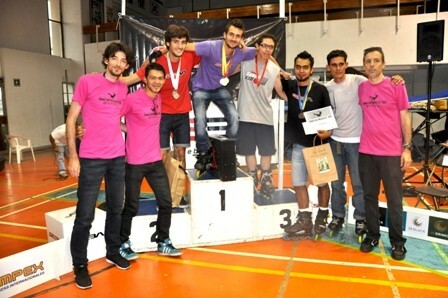 34 skaters were competing in the Men's Battle. Ricardo Batiz (Mex, #55) got the victory in the Battle final, thanks to a better variety of tricks and a better success in his tricks. Gonzalo Cobo (Arg, #31), favorite of the final finished right behind him, G.Cobo couldn’t finish all his tricks, and despite trying more difficult combos, didn’t get enough success in the final. Carlos Tungüí (Mex, #592), ended up on the 3rd step of the podium, his best result so far (4th place in 2013). 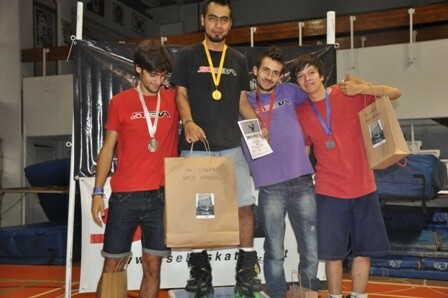 The Speed Slalom winner, Jonathan Mogrovejo (Mex, #551), got the 4th place. Before the Battle victory on Sunday, Carolina Villavicencio (Mex, #297) won the Classic competition on Saturday, with a more technical and more artistic run than her competitors. 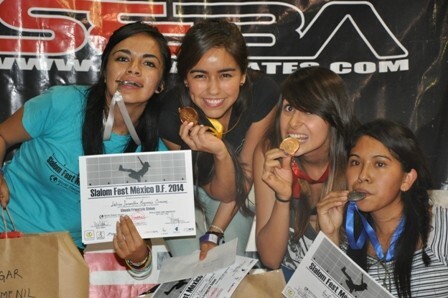 The Speed Slalom winner, Samantha Mogrovejo (Mex, #357), took a good second place. Gabriela Ramos (Mex, #382) ended up on the 3rd step of the podium. The Battle winner, Ricardo Batiz (Mex, #55), got the victory of the Classic as well the day before. He performed his best run so far in a classic freestyle contest, finishing without any penalty on a well constructed rock & roll style. Gonzalo Cobo (Arg, #31) took one more 2nd place, thanks to a good technical run, but with too many mistakes to reach the first place. Mariano Amoroso (Arg, #468) finished on the 3rd step of the podium, with a well constructed run artistically, but with a much lower technical base than the 2 first skaters.